Taking care of your teeth is very comparable to taking care of your vehicle: there are plenty of places that can do it, but they are not created equal. 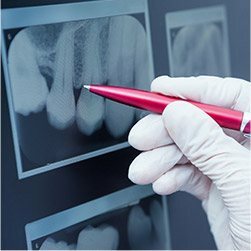 At our practice, Dr. DeAngelo brings decades of experience and uses only the highest-quality, metal-free materials when fixing chipped, cracked, broken, and missing teeth. He’ll make the extra effort to ensure that your new teeth not only look great but will last as well, which is not something other dental offices can guarantee with confidence. He’ll give you a smile you can trust, and you can start getting it today by contacting us for an appointment. When it comes to restoring decayed, broken, and missing teeth, dental crowns, and bridges are two of the most trusted treatments in all of dentistry. With a dental crown, Dr. DeAngelo can make even the most damaged tooth look like new again, and with a dental bridge, he can help fill in the gap in your smile. His keen eye and artistic hands will take your compromised smile and turn it into one you’re always ready to show off. 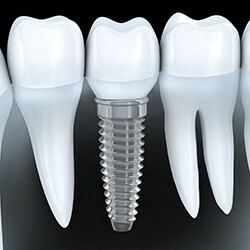 Dental implants are the premier solution for tooth loss in today’s world, providing exceptional durability, aesthetic value, and longevity. They replace every part of the natural tooth, including the root underneath the gum tissue that provides valuable support for your jawbone and overall oral health. 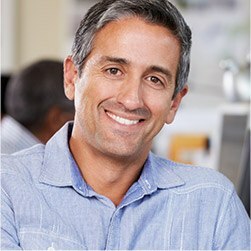 If you choose this option to rebuild your smile, Dr. DeAngelo will be happy to design high-quality, custom-made restorations for your new implants that are virtually indistinguishable from what was lost. 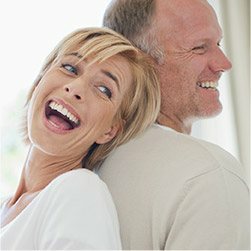 If you’re currently dealing with multiple missing teeth, full and partial dentures may be exactly what you need to get your complete smile back. Thanks to the latest advancements in dental prosthetics, modern-day dentures are now smaller, sleeker, and more natural-looking than ever. 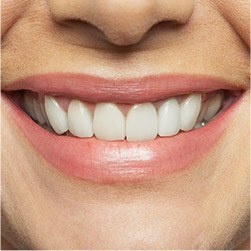 Partial dentures are designed to restore a smile that is only missing a few teeth, while a full denture can replace an entire row of teeth. In any case, we’ll be sure to give you a smile that makes eating and speaking feel as easy as ever. If a tooth develops an infection deep within its innermost chamber due to decay or an injury, this will usually cause th of all toothaches, and in order to relieve this pain, Dr. DeAngelo will need to perform a root canal. Being a compassionate dentist, he’ll make sure this often feared procedure is nothing to be scared of thanks to a gentle touch and a generous amount of local anesthesia. Dr. DeAngelo will see if you need a root canal or if you can avoid one. If you do need a root canal, there is nothing to be afraid of as modern methods of doing root canal therapy are easy and virtually pain free. Sometimes, a single procedure simply isn’t enough to meet all of the dental needs a person has, especially if they have multiple issues such as broken teeth, missing teeth, TMJ issues, and more. Many patients in this situation often think it is simply too late for their smile, but with a full-mouth reconstruction, Dr. DeAngelo can happily prove them wrong. Using interlocking and coordinated treatments, he can restore the look, feel, and functionality of even the most damaged smile. 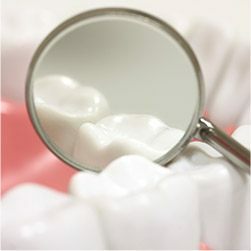 Our practice only uses metal-free fillings and has done so since the 90s. Why? 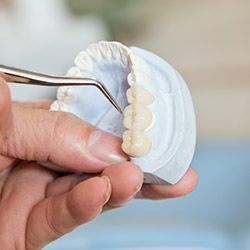 Because with these fillings, we can custom-shade the composite resin material to perfectly match the color of a patient’s tooth, plus it forms a much stronger bond with the enamel. In addition to being mercury-free, the lack of metal ensures that this treatment won’t make a patient’s tooth more sensitive to hot and cold temperatures. All in all, they give you a repaired tooth that looks great and is built to last. The wisdom teeth have become impacted, infected, or painful.